From time to time Spring makes appearances for lectures, workshops, book signings and interviews. 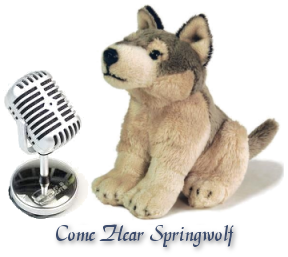 We share the dates, locations and information about these events here on Springwolf Reflections. Spring appears every Monday night, 9pm eastern on The Ænigma Project – on the Tenacity Radio Network. You can listen online and join the chat room to share your perspective or ask questions for the panel. Or you can check out the many ways you can listen on the go, at home, at work or in your car. If you don’t want to drop by the chat room, you can listen live to the Ænigma Project on TuneIn.com-Tenacity-Radio. In your car or on the go, find your radio app that allows you to stream the show and search for Tenacity Radio, then save it as a favorite. We always have a lot of fun! Come on and join us! Spring will be appearing on the South-Eastern Paranormal Society’s Podcast with Paul Cagle. We discussed the pros and cons of allowing Religious perspectives into Paranormal Investigations. What are the pros, cons and influences? The podcast can be streamed via iTunes or listen directly from the SEPS webpage! Spring will be appearing on the South-Eastern Paranormal Society’s Podcast with Paul Cagle and Sushi. Do you know what a Mimic is? How about a walk-in? Check out the show and find out what we think of these paranormal ghostly events. Spring will be appearing at the pagan Tea Gathering to read from her book and answer questions about Pagan Metaphysics. There are no events scheduled at this time. Stay tuned for updates. 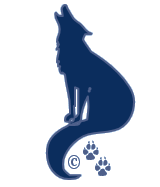 © 2013 Springwolf, D.D., Ph.D., Springwolf Reflections / Spring’s Haven, LLC. All Rights Reserved.